Keeping water out of the fuel system may prevent a call to TowBoatUS for a tow. What are ethanol and ethanol-blended fuels? Ethanol is used as an “oxygenate” and is added to fuel to help reduce hydrocarbon emissions that cause air pollution. It is highly refined beverage (grain) alcohol, approximately 200-proof, that can be produced from natural products such as corn, sugar cane and wheat. New technology allows ethanol to be made from cellulose-rich feedstocks including corn stalks, grain straw, paper, pulp, wood chips, municipal waste, switchgrass and other sources. Ethanol used for fuel has been denatured or rendered unsafe to drink by the addition of a hydrocarbon (usually gasoline). The term “ethanol-blended fuel,” or E10, refers to fuel that contains 10 percent ethanol and 90 percent gasoline. Similary, E85 refers to fuel that contains 85 percent ethanol and 15 percent gasoline. E85 is intended only for engines specially designed to accept high-ethanol content fuel blends, such as the Flexible Fuel Vehicles (FFV) made by some car companies. Not all states require gas pumps to be labeled to indicate the presence of ethanol in the fuel, so you may be currently using E10 fuel and not be aware of it. There have been efforts in Washington D.C. to introduce gas with 15 percent ethanol (E15). 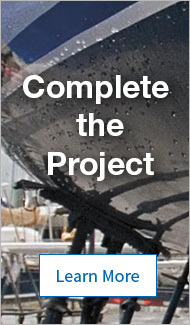 More on E15 and the potential dangers it poses for marine engines later in this Advisor. In the U.S., ethanol is typically produced by removing the starch or sugar portion of corn and fermenting it. The fermented starch is then distilled into alcohol. Excess water is removed, resulting in very pure, 200-proof, ethyl alcohol (ethanol). In some parts of the world, ethanol is made from a variety of raw materials. For example, sugar cane is used to produce ethanol in Brazil, while sugar beets and wheat straw are commonly used in Europe. If you change over to E10 from non-ethanol gas, you should check for water in the water separating fuel filter. Carry spare filter elements, as ethanol is a solvent that loosens gunk in the fuel system. Check for the presence of water in the fuel tank. Inspect the water-separating fuel filter on larger engines. If water is found, pump the tank dry from the fuel line or siphon the tank dry. Examine the fuel in a clear container. If the fuel is not clear or has a sour odor, the tank should be cleaned. When E10 gasoline comes into contact with water, ethanol will allow fuel to absorb some or all of that water. This is actually somewhat beneficial, but fuel can reach a saturation point and water can phase separate to form a distinct layer in the bottom of the tank. The upper “gasoline” layer will be depleted of ethanol and have a reduced octane level. The lower “phase separation” layer will be a corrosive mix of water and ethanol. No chemical agent or fuel additive can be added to E10 gasoline, in a reasonable quantity, that will fully prevent phase separation or recombine a phase-separated layer. Seasonal storage with E10 fuel is another likely time for problems. During storage, fuel will tend to oxidize; it will become “sour”, and may absorb water from condensation. Water-holding capacity of E10 fuel is reduced with lower temperatures, so phase separation is more likely with winter temperatures. E10 can hold approximately 0.5% water at 60°F (.64 ounces in a gallon, or 12 ounces of water in a 20-gallon gas tank), but can only hold about 0.35% water at 20°F (.45 ounces in a gallon). If possible, store your boat for the winter with a full fuel tank. 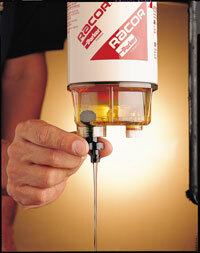 Add a fuel stabilizer to the fuel at the recommended dosage. Run the engine for 10 minutes to distribute stabilized fuel into the engine and fuel lines. Top off the tank to reduce the amount of exchange with the air that may bring in condensation. Note: Some storage facilities require that fuel tanks be empty for storage. MYTH: Fuel additives can cure or prevent all issues from ethanol-blended fuel. TRUTH: There is no practical additive that can prevent phase separation from occurring. The only practical solution is to keep water from accumulating in the tank in the first place. In addition to using high-quality fuel additives, you should purchase quality fuel from trusted sources, check fuel filters and fuel tanks periodically for sediment and water, and keep up with manufacturer-recommended preventative maintenance schedules. MYTH: Fuel additives can make phase-separated fuel (that has separated into layers of water and low-octane gas) usable. TRUTH: “Bad” fuel should be completely removed and replaced with fresh fuel. Nothing can rejuvenate old fuel. To prevent fuel from going bad, most manufacturers recommend high-quality fuel additives to prevent sediment, gum and varnish buildup that forms when fuel goes bad, control moisture, help prevent phase separation and prevent fuel system corrosion. MYTH: Ethanol-blended fuels are bad and should be avoided. TRUTH: Ethanol blended fuels (E10) are common throughout much of the United States. After the transition period from non-ethanol fuel, E10 may actually be a superior marine fuel, as it tends to keep low levels of water moving through the fuel system, keeping the system “dry”. 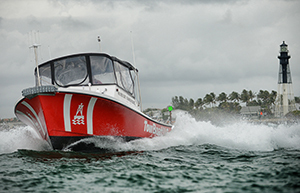 For over a decade, marine engines have been engineered to handle E10 gasoline. However, all types of fuels should be treated if they won’t be used in a few weeks. E10 only, not E15, for your boat! We still don’t know how and when E15 will be offered for sale, or if it will ever be sold in your local marina. We do know that you don’t want it in your marine engine, as the experts are unanimous on the subject. According to Mercury Marine: “Fuel containing higher proportions of ethanol is not compatible with many fuel system and engine components and, if mistakenly used, will cause irreversible damage to these components that will lead to engine failure and potential safety risks.” At this time, we can only warn you about the possibility of confusion and the risk of accidentally filling your boat’s gas tank with E15. Do not put any fuel containing more than 10% ethanol (E10) in your boat’s fuel tank or outboard motor (EPA’s decision only applies to 2007 and newer highway vehicles), unless your owner’s manual specifically states otherwise. Check the pump to be sure that it is dispensing E10. Some gas pumps at local gas stations may offer both E10 and E15, or have blender pumps that dispense mid-level ethanol fuels for Flex-Fuel automobiles. Higher ethanol fuel (E15) may be less expensive than regular (E10) fuel, but putting E15 into an E10 approved vessel could cause engine and fuel system damage. Many boaters who trailer their boats (about 90% of recreational boat owners in the U.S.) fill their boat’s gas tank and/or gasoline can when they fill up their tow vehicle. Be sure that the gas can is filled only with E10 fuel. This will require a change of procedure when you fill up the new Silverado or Tundra truck, and then automatically top-up the tank for the wakeboard boat or fill the gas can for the Evinrude. Thanks to the experts at Mercury Marine for technical help for this article concerning fuel system maintenance and issues surrounding ethanol-blended fuels.